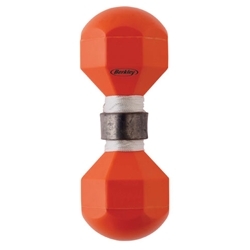 The Berkley Marker Buoy is easy to see with its bright orange color! It comes equipped with 75 ft. line and a 6 oz. anchor weight. This marker buoy will easily mark your favorite fishing spot or trouble area and is made of durable plastic to weather the elements.